This hub provides information of historical significance to the women's suffrage movement. Alice Paul was the leader of this movement. Her home "Sewall-Belmont" House is a Museum and a National Historic Landmark. 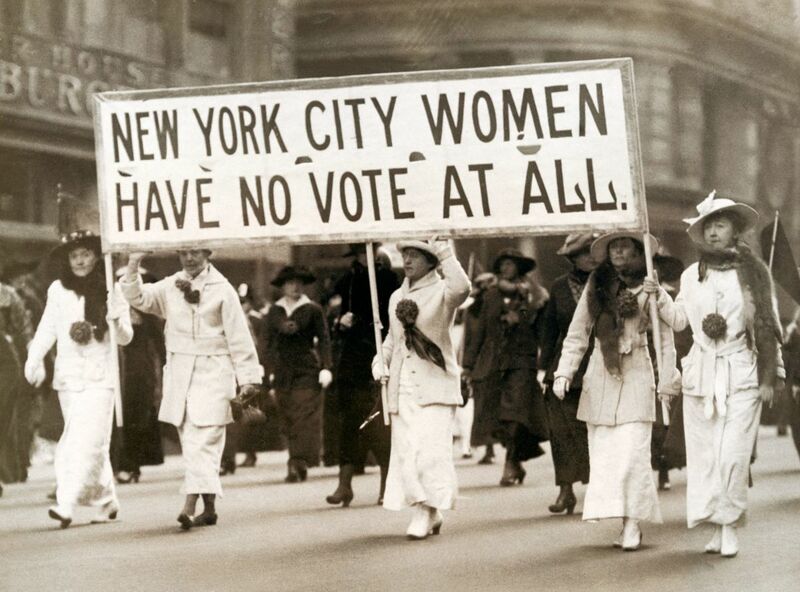 Women's right to vote was a long fought battle. Passed by Congress June 4, 1919, and ratified on August 18, 1920, the 19th amendment granted women the right to vote. The 19th amendment guarantees all American women the right to vote. It will soon be the 100 year anniversary for that event in 2020. It is good to look back in history and honor those who made this happened. Help find the missing flag banner!!! One important artifact is a large banner flag with 36 stars which represent each of the states that ratified the 19th Amendment which gave women the right to vote. The flag is shown draped in the photograph below. Here is a description "So when Alice Paul celebrated the day on which the 19th amendment was proclaimed law, it was with characteristic flair. 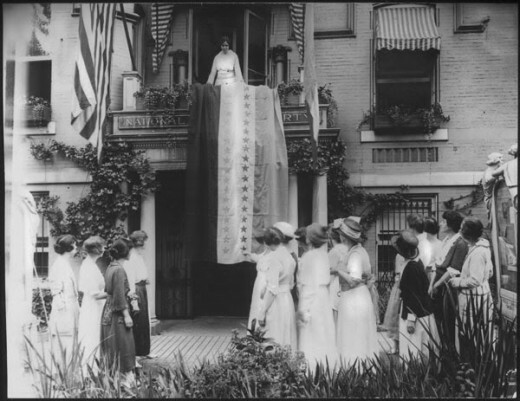 A crowd of women gathered outside the ivy-covered National Woman's Party headquarters in Washington, D.C., as Paul unfurled a long, silk banner from the building's second- floor balcony. 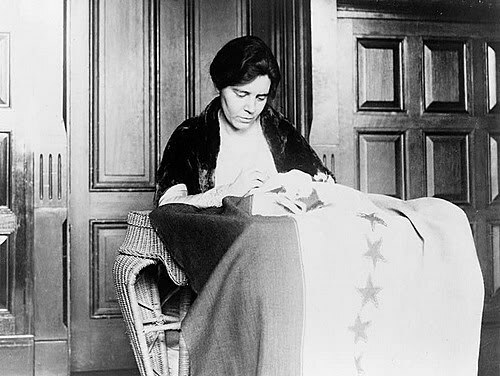 A photo of Alice Paul sewing on the last star. The Sewall-Belmont house - home of Alice Paul. Alice Paul Institute web site. Iron Jawed Angels, movie on the Women's rights movement. Library of Congress American Memory on the National Woman's Party. A timeline of the Woman's rights movement. Biographies of past women leaders. The Schlesinger Library contains some of Alice Paul's papers. Please help to fund the Museum and future preservation efforts. Book on the woman's movement. Was this lens on national woman's party helpful to you? Who Are the Tea Party Patriots and What Do They Want? Please contact me regarding your search for the missing ratification flag. Looks like your lens could use a boost! Why not join the group Get Ratings, Give Ratings! And get ratings from me and our members! Thanks for the compliment. I like part of the article. I am a Conservative and I do believe there are distinct differences between men and women. I am not a fan of the current feminist movement. I like to see NOW in a less radical position with regard to abortion and other issues. and I'm going to link my blog to your lens. Thanks. How wonderful to find this lens on the National Woman's Party and Alice Paul and that beautiful flag! Thank you so much! I'm adding you to my lensroll so I can check back now and then.